The one part of Korean cuisine that I have always enjoyed are the side dishes. My explorations to the Korean Village around the area are usually to look for ready made Korean side dishes. However, during my recent vacation with my Korean girlfriend, she shared with me about how easy it is to make my own side dishes at home instead of hunting them when I travel to buy some back for personal consumption. 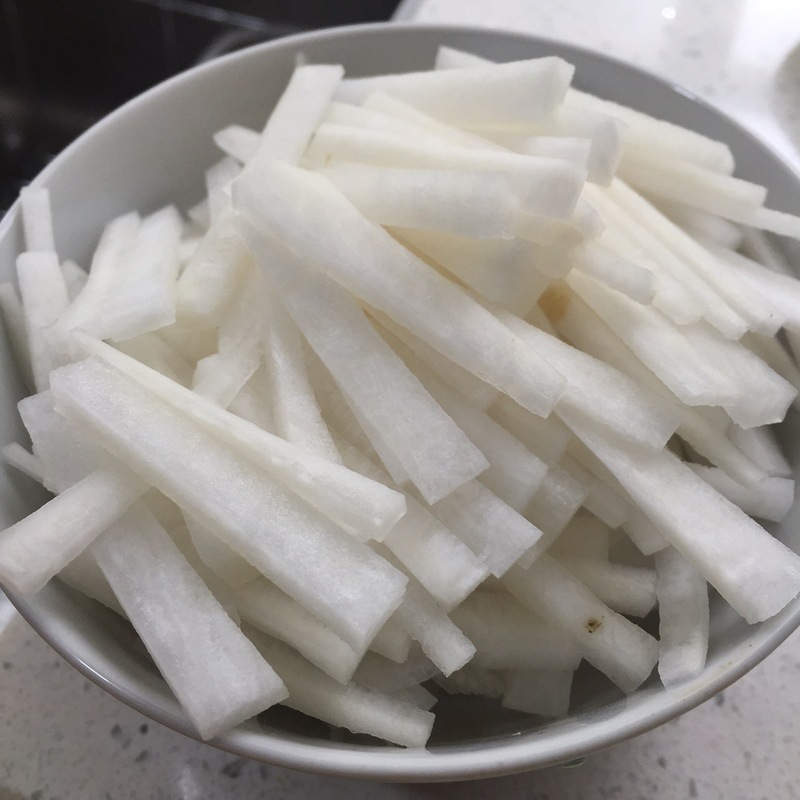 This leads to my interest when I found this simple recipe (yes, one must always start with something simple) that I found this Korean Bapsang – Musaengchae (무생채) recipe.So I decided to give it a try. Musaengchae (무생채) is a salad like side dish that is made from radish and carrot. The original version are usually a little spicy with Gochugaru (고추가루) – Korean Hot Pepper Flakes and many other seasonings. However, I choose to try the mild version that is only using vinegar and sugar with a pinch of salt. This sweet and sour dish is indeed a very refreshing dish that goes well with any meal.